When it comes to finance, the Internet has mixed results. On one hand, none of us would even consider walking into a bank without having done copious web research and being pre-approved. Ditto, credit cards. If you showed up to a bank branch and asked for a new credit card, they would probably look at you oddly and ask you to kindly do it on their www. On the other hand, commercial finance is almost non-existent online. Except for a few scraps here and there, commercial finance is a conversation with your bank manager. In the same way that we happily compare travel insurance and credit cards online, is the web ripping the car finance industry apart and gifting us with cheaper loans and cheaper cars? The reality is that most of us still obtain vehicle finance from either our bank or the car dealer. Though thankfully, things are starting to change. carloans.com.au – as the name suggests – is all about car loans. 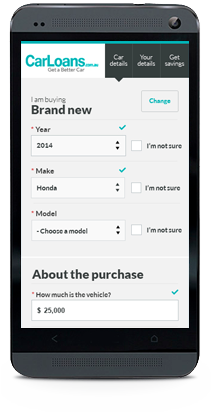 It allows customers to find and apply online for car loans from across a variety of lenders. The website also compares the major banks, quickly showing customers the potential savings to be had by applying online. The promise is as simple as it is compelling; carloans.com.au customer get better cars because they have more money to spend and less of a loan to pay. Which is pretty cool no matter what car and budget you're hoping for. 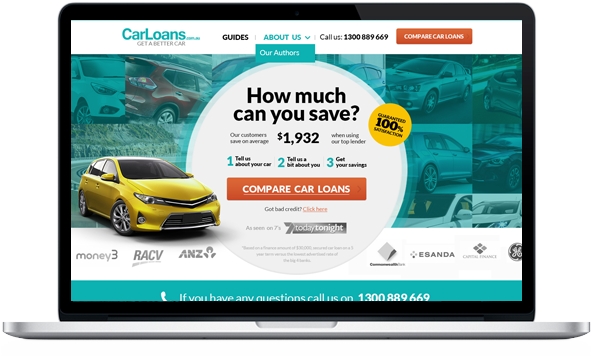 Being predominantly an online play, the effectiveness of the carloans.com.au website is central to the success of the business, whether the sale is closed online or through the carloans.com.au call centre. This success is measured a few ways, including cost-per-lead, conversion rate and revenue/margin per customer. 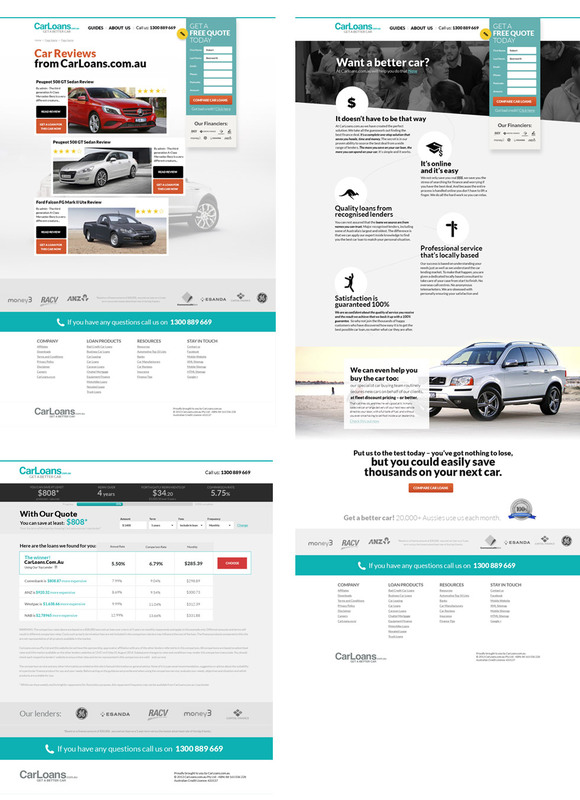 Since mid-2014, Wiliam has worked as carloans.com.au’s digital agency on a continuing program of website optimisation and development. Analysis and improvement has occurred (and continues to occur) right across the website including new design, content and redesigned funnels and user flows. Improvements have been validated through analytics and user research and then measured and tested, feeding into even further optimisation and growth. The outcome is a great partnership between carloans.com.au and Wiliam and accelerated website growth in-line with carloans.com.au’s strategic goals. We interviewed five companies and chose Wiliam as they had a strong focus on conversion as well as being able to analyse data and being proactive with suggesting minor tweaks and improvements. Our website is fully optimised for every device overall website conversion has increased exponentially since engaging Wiliam. Here is to https://www.carloans.com.au/changing how Australian’s source their car loans. And Australian’s driving better cars.